Obviously, the Debian Wiki page isn’t complete about Compiz installation. I found I had to install two extra packages in order to run Compiz under Lenny. My thanks go to the hints provided by a fellow Debianer. If you are a political liberal, a democrat, or an Adam Sandler fan, you are probably going to enjoy this movie, but probably hate the strongly accented English. What you will see is a few superman-like, Hong Kong kungfu movies styles stunts, and the rosy wish of Peace and Brotherhood between Israel and Palestine. Although the matters in mid-east are not really that simple and easy, not like Zohan’s bloated masculinity and fighting skills. The movie also pictures America as a land of dreams and equal opportunities for everyone, but you know it is not 100% true, right? It also sports some dirty jokes about Bush’s wife, Clinton’s wife and Obama’s wife, and I personally think it is not funny but obviously very political. Because he hates “Jews, the Arabs, the Blacks, the Yellows, the French, the Latins, the New York times, the George Clooney, the Hillary, the Obama, the whole foods, the Prius, the dogs in purses, the Orphah, the Ellen, the condoms and sunsets on the beach” according to the movie, and he works for the American cooperate interests. Anyway, if you have two hours to kill and want to see Zohan the Incredible perform his sensual stunts, you will enjoy this movie. 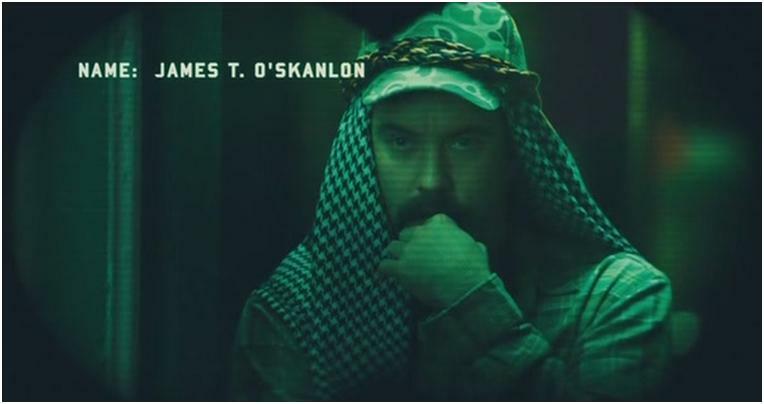 A Brief Review of the Incredible Hulk and the War Inc.
For me Edward Norton and John Cusack look quite alike, and it is not until I watched the movie the Incredible Hulk did I realize they are different individuals. Edward Norton appears to be a right fit for dark and sad characters, while Cusack has a sunnier face. If you ask me which movie I like better, the Hulk or the War Inc., I would pick the latter. The Incredible Hulk is a movie to watch in a lazy weekend and relax oneself, while the War Inc. brings you the liberal pleasure to ridicule the dirty war in Turaqistan, which is an obvious allusion to and a bitter reminder to the war in Iraq. Both movies have some attractive actresses to boast: the graceful Liv Tyler and the elegant Marisa Tomei. Liv in the Hulk movie is a predictable character from a cartoon book, while Marisa is more true to life as a war zone journalist. I will be expecting to witness more charms of Marisa in another movie of her Before the Devil Knows You’re Dead. These two movies have more to be desired. Hulk 2 is a monster movie lacking some human touches, and the War Inc., with a setting in the future, should be surrealistic in its props. But the surgical bombing mishit the target in the War Inc. is hilarious. The Hulk movie also has Robert Downey Jr. appeared in the last scene of the movie, as if ascertaining the entertaining orientation of Hulk 2. My frequent inquiry into Google Blog Search with the key word “Debian” reveals me this intriguing post, which is titled “Why I love Debian“. Unfortunately, I could not access the page and view its contents for some obviously guessable reasons ( /me casting a wary eye at G.F.W). Persistent as I am, I used a online proxy and read the post any way. The following is the entire post I copied, and salute to its author. Cheers to all Debian fans. Ubuntu and Linux Mint are great for new users, but I’m not a new user. I’m not trying to be snobby, and I don’t think I’m better than anyone else; I just have different needs than most people. I don’t want polish. I want to see and work with the guts of my operating system, because I like to be in total control of my computing experience. I don’t like my hand to be held. I’m not extreme about this. I like user-friendly things as long as they don’t get in my way, or cover up what I want to see. Debian makes everything as easy as possible without getting in my way, holding my hand, or hiding the details. I also value different things than most people. I don’t want the latest bells and whistles, pretty graphics, or fancy features. I want stability and commitment. I hate when vendors take liberties with my computing experience for their own nefarious ends. I hate bugs, crashes, upheavels, insecurity, and having my privacy disrespected. Linux in general tends to be refreshingly free from many of these, but Debian takes it all a step further. Debian has been around longer than most other distributions, and the system they have in place is the same basic system they’ve had for the last decade. They did it right from the beginning, and while they add features, improve security, and add the occasional bit of polish, they never try to fix what ain’t broken. But they don’t depend on their reputation alone. They also offer a social contract outlining their values and promising to its users that these values won’t change. This is the kind of commitment you don’t get from most software vendors. Debian has a reputation for being the most stable and secure distribution in existence. Indeed, this thing is like a rock. It never crashes or locks up, and I haven’t had a single security exploit ever since I installed it in 2004. This is true for Linux in general for the most part, but Debian is better at it than any other distribution. Debian dubs itself the Universal Operating System. Debian is more than just a Linux distribution for the PC. It’s more like a free software distribution system for all architectures. They offer three other operating system kernels than Linux, and they distribute thousands of other software packages that go far beyond the basic operating system. They offer this for 10 different hardware architectures. What I get with Debian is a complete software solution for all of my needs, no matter how they might change in the future. Debian has three different software repositories, with varying degrees of maturity: stable, testing, and unstable. All three are actively maintained. Unstable has the newest of everything. After software in unstable has undergone a certain minimum of testing for a few months, it is moved to testing. Stable only gets updated about once every 2 years, after rigorous testing. That’s the one I use. I like to stay behind the curve, and I like that I’m given this choice. Debian values software freedom. In each repository, they have different sections: main, contrib, and non-free. Non-free is software that doesn’t satisfy its free software, non-proprietary guidelines. Contrib is free software but depends on non-free software to run. Main is entirely free software. That’s the one I use. I like that they give me the choice of how much freedom I want in my software. Last but not least is the Debian community. It’s probably the single biggest and most diverse free software project in existence. It has thousands of developers from all over the globe. It’s entirely non-profit and volunteer-driven. It operates as a true democracy. They use the Condorcet method for counting votes, and the election process is completely out in the open. So, in a way, Debian is more like a huge social experiment than a mere operating system. Of course, nothing is perfect. Debian can be fussy about some things. It usually detects most hardware, but when I added a sound card recently, it didn’t detect it. After messing with it a bit, I switched it to a different slot, and it worked. That’s kind of stupid. And sometimes, very rarely, staying behind the curve like I do causes me problems. I recently had a problem with a piece of software, and after much searching, I found that there’s a bug in the version I’m using. The bug is fixed in recent versions. So, I have to either wait for the next version of Debian, or switch to the testing branch, which is a big compromise to make just for the sake of one program. Luckily, Debian has a “backports” system in place for situations like this. Unfortunately, this program didn’t exist in their backports, and I had to hunt around for a backport somewhere else. But these annoyances are rare and not really a big deal. The benefits far outweigh the burdens. I look forward to a long and fruitful relationship with this operating system. For beginner WordPress bloggers, creating a search bot friendly robots.txt is a headache sometimes. This is particularly true for me: I first blindly copied a robots.txt from some site, which resulted in the blocking of all my posts from the search engines. I later found out the robots.txt I copied deliberately blocked all posts with a ? in the default permlink format. Learning a hard lesson, I found a simple robots.txt will just do the job. Don’t copy robots.txt from sites that claim their robots.txt can do magic to SEO. So how to create a simple and easy robots.txt for your new WordPress blog? Create a Sitemap and submit it to Google Webmaster Tools. How to create a sitemap? Just install the plugin google-sitemap-generator for this purpose. Block search bots from crawling certain directories – the directories which do not provide contents of your site, and are there for administrative or maintenance tasks. For WordPress, you certainly want to block these three directories. Remember, don’t disallow wp-contents. Because it holds your site’s contents. If you feel like generating a robots.txt automatically, here is a robots.txt generator you can try and it can also help you better understand how robots.txt works. Still want to know more? Actually you can learn a lot from your favorite sites. Just add robots.txt to the end of the url of your favorite sites, and you can see how they configured theirs. For exmaple, you can see my robots.txt by this url. Feel lazy? You should be just fine if yours robots.txt looks similar to this (remember to supply your own site’s url to the sitemap line). Sharp stock market fall. The Shanghai Index of China’s stock market plunged from 6,000 points to approximately 2300 in less a year. The stock market in crisis-affected countries also fell sharply in 1997, only with a much deep dive. The government began to implement stringent money policies and credit control. In 1997, IMF recommended the crisis-torn countries like Indonesia to implement the same policy for the reason of macroeconomic restructuring. The export-oriented industries are having a hard time for it’s now harder to get bank loans to keep the business going. The same happened in Indonesia. High inflation and the sharp rise in the prices of food, energy and the general cost of living. This too happened in 1997, and the lack of food partially caused the riot in Indonesia in 1998, thanks to the suggestions of IMF and U.S. to relax food price control. Sharp fall of real estate prices. Shenzhen is a typical example, and the value of the new houses sometimes shrank by 30%. It is harder to sell houses and the real estate market is taking a downturn. The same happened in Hong Kong ten years ago. The only difference I noticed between the ten-year-apart two situations is: right now, RMB (Chinese Yuan) appears to be appreciating in value against U.S. dollars, while ten years ago, the currencies of the crisis affected countries devalued a plenty against U.S dollars. But the appreciation of RMB is merely an illusion, and the currency is actually depreciating in my opinion. Inflation means the devaluation of the currency, and the mirage of a strong RMB is created by the very weak dollar. So I would say in all the six aspects mentioned above, the history is indeed repeating the pattern of ten years before, fortunately, only by a smaller scale and a moderate pace.